It looks like winter is not ready to give up it's hold on this season, as we have more nasty weather across the center of the country. I'm sitting in some single digit temps, but I think the cold front is keeping the really bad stuff south of me. I'll deal with the chills over more shoveling, as the east coast is about to deal with. I can always some Topps Chome. I had just a single cards from the '03 set. No longer. As a base set, the blue borders are rough, but in Chrome, these suckers shine. Other Sox were in there, from sets that I was lacking. 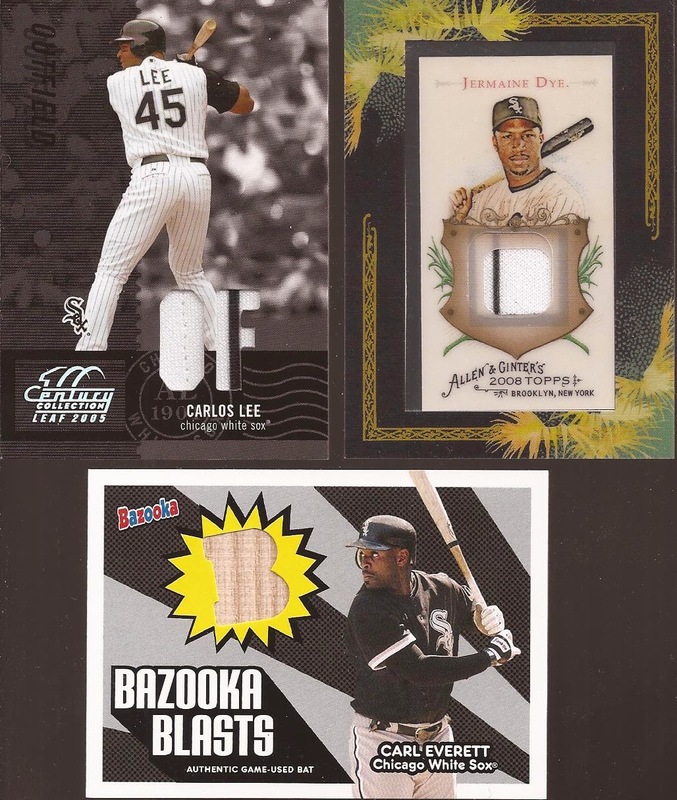 I love those Fleer Authentix. Great design for a card. And that Shields on the left? SP for Gypsy Queen. Here are half of the dozen Buehrles that Josh sent. I am a huge fan of Mark, and hope when his career finishes, he does a one day contract and retires a member of the White Sox. Until then, I hoard his cardboard. Highlights from Josh's mailing is this group. All cards for respective binders. 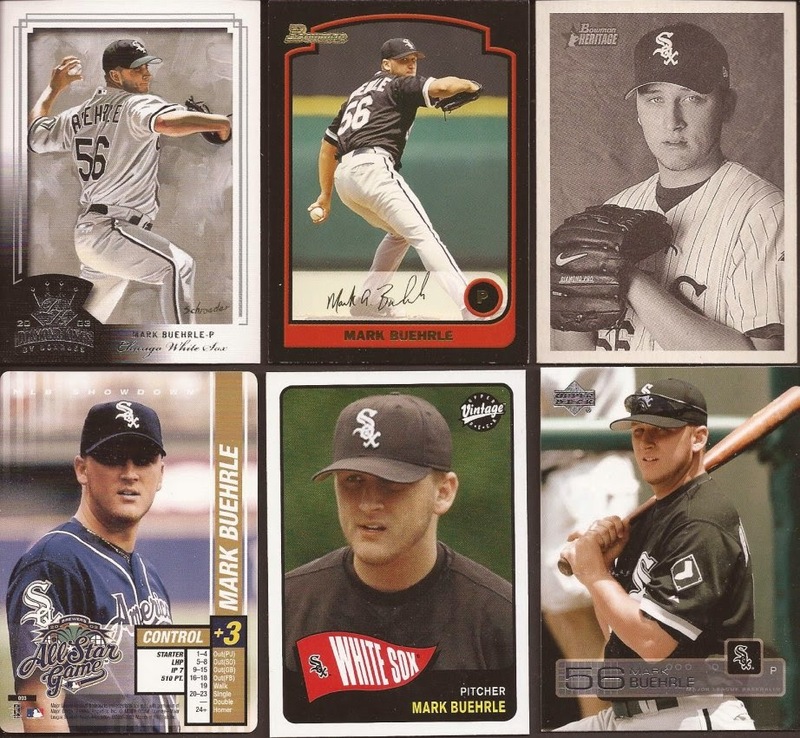 I have seen a couple of the round Hardball cards, but never knew a few White Sox existed. Certainly not ones that fit a player collection. Thanks for all the cards, Josh. I owe you. Now, if you have been following the blogs, you may know of the ongoing "battle" between Wes from Jaybarkerfan's Junk, and Matt from Bob Walk the Plank. They have been doing the best to out do each other in mailings back and forth. Wes is known for his mailings, but Matt is dropping some amazing envelopes around the blogs. Matt took a couple minutes away from dropping another bomb on Wes and sent me 9 cards. Nine. But nine incredible cards. Love the stitch on the Lee relic. I wonder what was pulled off. Another pinstripe seen on the Dye, and a bat relic from Carl Everett. I should add relics to the 2005 Project. 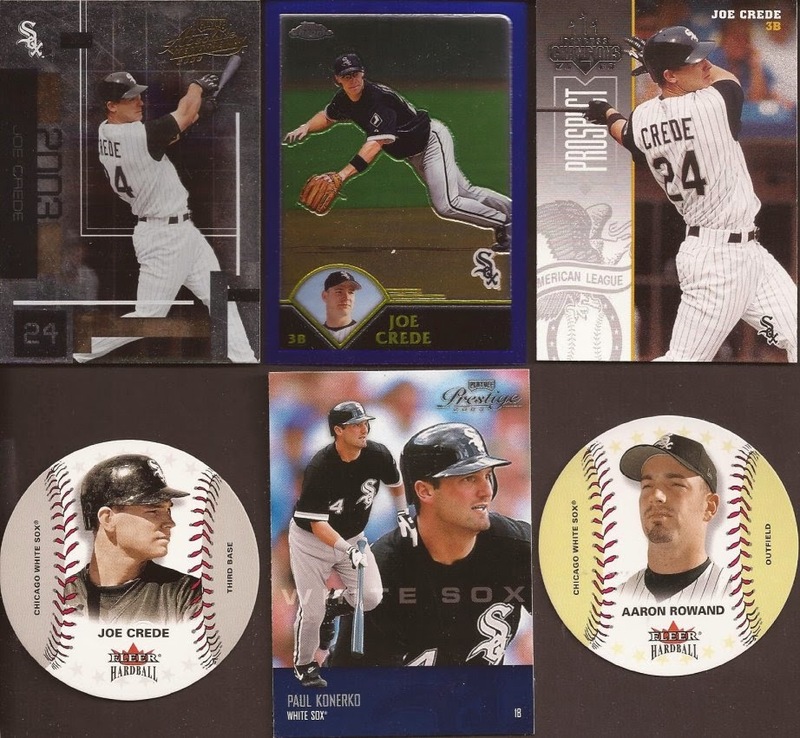 More relics, from Podzilla, Jenks and a couple from Magglio. And as much as the design is really weak, I'll add any autograph to my collection when it's a ChiSox. So that's eight. Here's #9. WOW!!!! Dig that three color patch. 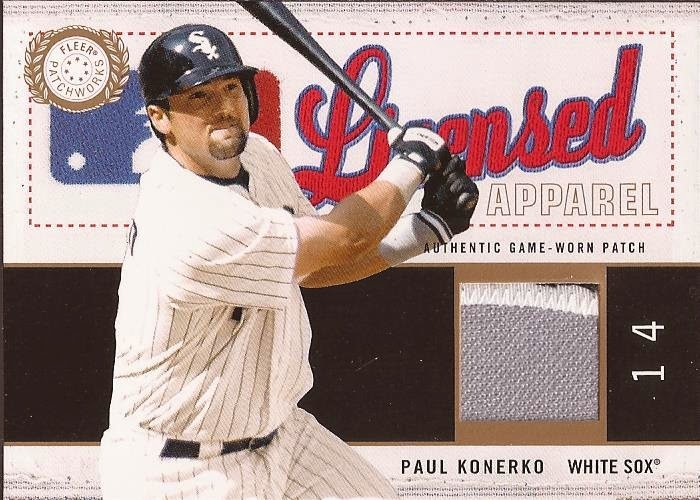 This is a heck of an addition to my Konerko collection. Man, I love how this cards looks, and I'm honored to get this in the mail. Matt, I really owe you! If you are getting winter dumped on you, just know the beach is a few short weeks away. 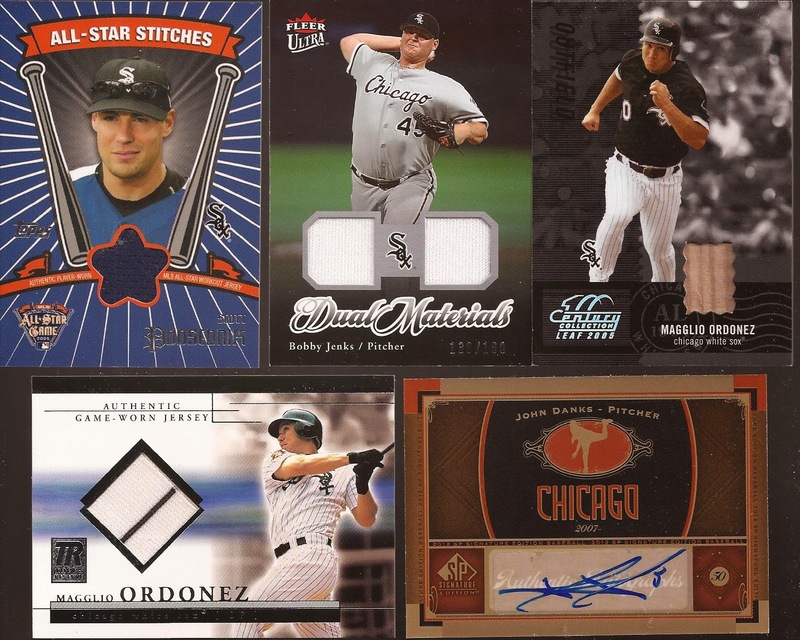 That Konerko relic looks impressive. Nice haul :). Glad you liked the Konerko. That one had been in my possession for several years. It needed a more deserving home. That is a nice Konerko, you should probably store it in that box for me. I'll remind you to take it out before you send it, I promise.